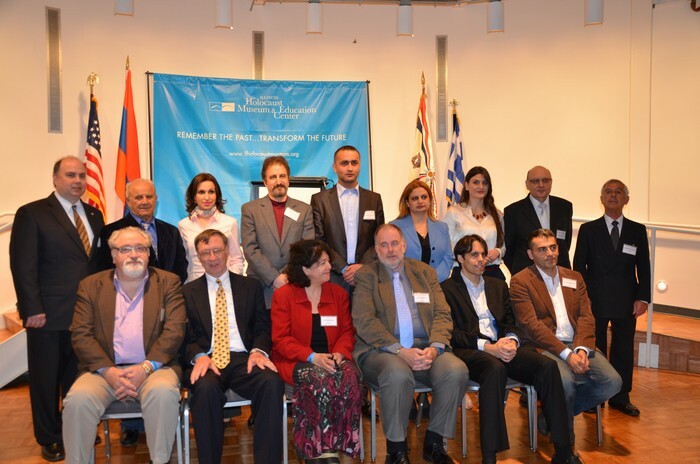 The largest academic conference Genocides ever held focusing on the Armenian, Assyrian and Greek Genocides concluded on Saturday, May 11, after two days presentations by over a dozen scholars from Armenia, Australia, England and across North America. Attended by over 120 participants each day, the conference was filled to capacity with an enthusiastic and inquisitive audience. The conference, entitled The Ottoman Turkish Genocides of Anatolian Christians: A Common Case Study, was organized by the Asia Minor and Pontos Hellenic Research Center , the Armenian National Committee of Illinois and the Assyrian Center for Genocide Studies Illinois, and was held at the prestigious Holocaust Museum and Educational Center in Skokie, IL, on May 10 and 11, 2013. 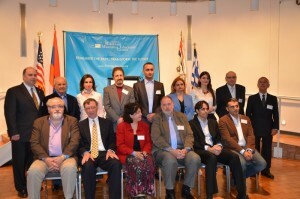 Conference was supported by the Pan Pontian Federation, the Pontian Greek Society of Chicago and the Pontian Society of Connecticut. The assessments of the conference, both by the presenters and the attendees, were overwhelmingly positive. “We were very pleased by the new and exciting material presented by our scholars,” stated George Mavropoulos of the organizing committee. “After listening to these remarkable presentations, it has become very clear for many of us that the Genocides of the Armenians, Greeks and Assyrians were coordinated and can be viewed as one –organized by the same individuals, using similar methods and pursuing the unified goal of eliminating the native Christian population from Anatolia,” he continued. The conference was opened by Master of Ceremonies, John Davis, Emmy award winner and long time reporter and anchorman for CBS affiliate WBBM -TV in Chicago. In his introductory remarks, Davis thanked the many sponsors, volunteers, scholars and participants for their contributions and for making the conference a reality. He then introduced Skokie mayor George Van Dusen, who was followed by the Greek Consul General Ioanna Efthymiadou, who congratulated the Armenian, Assyrian and Greek Communities for coming together to organize the conference, and encouraged the scholars to continue their research into the Ottoman Genocides. Davis then introduced conference moderator George Shirinian, Executive Director of the Zory Institute of Toronto, Canada. Shirinian’s introductory remarks focused on the importance of these types of conferences in the advancement of genocide research, and provided an outline of how the conference would proceed. He then opened the first session of the conference by introducing Dr. Paul Bartrop, the Director of the Center of Judaic, Holocaust, and Genocide Studies at Florida Gulf Coast University. Dr. Baltrop presented the topic “Considering Genocide Testimony: Three Case Studies.” During his presentation, Prof. Bartrop discussed the importance of survivor memoirs as a historical resource, presenting examples from an Armenian, an Assyrian and a Greek survivor. He noted that while historians sometimes view survivor accounts as unreliable due to trauma and bias, they often contain valuable details about massacres, and sometimes are the only accounts available of particular events. Following Dr. Bartrop was Stavros Stavridis, PhD candidate and Historical Researcher at the Australian Institute of Macedonian Studies, who joined the conference via Skype. Stavridis presentation was titled “The Assyrian Issue 1914-1935: Australian Documents and Press.” He reviewed how the Assyrian Genocide was reported on in the Australian press as well as how the thoughts and actions of various government and private individuals impacted policy based on documentation he had researched in the National Archives of Australia and the collections at the Australian War Memorial in Canberra. The final speaker of the opening session was Dr. Anahit Khosroeva, Senior Researcher at the Institute of History at the Armenian National Academy of Sciences, who spoke on the topic “The Assyrian Genocide in the Ottoman Empire,” discussing the massacres of Assyrians, and Christians in general, as a continuum from the time of Abdul Hamid to the Young Turks and into the Republican period, with the purpose of eliminating the Assyrian, Greek and Armenian populations from Anatolia. The Friday afternoon session was opened by Dr. Hannibal Travis, Associate Professor of Law at Florida International University College of Law. During his presentation, entitled “Cultural and Symbolic Reparations of the Ottoman Christian Genocide: From Memorials to Restitution of Historic and Sacred Sites,” Dr. Travis discussed the destruction of the culture of the victim group that accompanied the physical killing inherent in the Ottoman Genocides. As part of his discussion of restitution of cultural monuments, Dr. Travis contrasted the approaches and outcomes of the renovations of the Holy Cross Church in Aghtamar and the St. Giragos Church in Diyarbekir. The next speaker was Dr. Robert Shenk, Professor of English at the University of New Orleans. Speaking on the topic “American Women, Massacres, and the Admiral: Deep in Anatolia during the Turkish Nationalist Revolution,” Dr. Shenk described the devastating role American Admiral Mark Bristol played in the post-war period as America’s chief diplomat in the area, and how despite pleas from numerous female American missionaries and even his own officers, he placed the interests of American commerce ahead of protecting the remnants of the Christian populations in Anatolia from ongoing destruction, censoring reports of massacres from information relayed back to Washington. Dr. Shenk praised the women missionaries for their bravery, working in a foreign and often savage land, with no guarantees for their physical safety. Thea Halo, author of the book Not Even My Name, then spoke on the topic “The Genocide of the Ottoman Greeks 1913-1923: Myths and Facts.” Halo challenged some common assumptions often used to discount the brutal treatment of the Greeks during the period of the Great Catastrophe and offered valuable alternative views regarding Greek irredentism based on the Megali Idea, and the role of King Constantine I in protecting Greeks under Ottoman rule. Prof. Ellene Phufas, then closed out the first day of the conference by sharing an excerpt from her translation, along with Aris Tsilfidis, of These Are the Turks: First-Hand Accounts from the Slaughter of Nicomedia, the first book of Greek Genocide survivor accounts which was collected by journalist Kostas Faltaits and published in Greek in 1921. The second and final day of the conference began with Master of Ceremonies John Davis opening the program with welcoming remarks, after which he invited Armenian National Committee of America (ANCA) National Board Chairman Ken Hachikian to address the conference. In his comments, Hachikian emphasized that in the ANCA has been able to make important strides in its lobbying activities because “we have the truth on our side.” He added that research like that being presented at the conference played an important role in helping to make that truth better understood. Following Hachikian’s comments, Davis asked Conference Moderator George Shirinian to take the podium and open the third session of the program. After brief comments Shirinian introduced Georgia Kouta, a PhD candidate at King’s College in London, England, to present her paper titled “Redeeming the Unredeemed: The Anglo-Hellenic League’s Campaign for the Greeks in Asia Minor.” Kouta discussed the role of the Anglo-Hellenic League in London in shaping western public opinion and British policy on the Ottoman government’s treatment of its Greek minority. She described how The League, which was composed of both Greek and British members, collected valuable documentation on the atrocities through Greek and non-Greek eye-witness reports, church and newspaper accounts, and published pamphlets to raise awareness of the atrocities. Kouta was followed by Steven L. Jacobs, Associate Professor and Aaron Aronov Endowed Chair in Judaic Studies at the University of Alabama. Prof. Jacobs made an interesting presentation about the writings of Raphael Lemkin, the author of the word genocide and the father of the UN Genocide Convention. He described Lemkin’s incomplete and unpublished three volume history of genocide, and described Lemkin’s treatment of the Armenian, Assyrian and Greek Genocides. The Saturday morning session was concluded with a presentation by Dr. Tehmine Martoyan on “The International Legal Qualification and Liability of Smyrna’s September Tragedy.” In her presentation, Martoyan examined the possibilities of applying the legal term “genocide” to the destruction of Smyrna in September,1922. She reviewed evidence of the premeditated nature and implementation of the extermination of the Armenian and Greek populations of Smyrna, as well as the destruction of their homes and businesses so as to prevent the return of the survivors of Smyrna’s destruction. The fourth and final session of the conference opened with Dr. Gevorg Vardanyan of the Armenian Genocide Museum & Institute in Yerevan, Armenia, presenting his topic “The Ottoman Genocide of the Armenians and Greeks: The Similarities and Structural Peculiarities.” Dr. Vardanyan pointed out that there were many common elements to the Genocides of Greeks and Armenians, including the methods used for organizing the massacres and the organizers themselves. Pointing out some of the major differences in the two genocides, Dr. Vardanyan noted that because of geography and demographics, the Kurds, who had played a significant role in the Armenian genocide, were generally not involved in the Greek genocide. He also noted that because of their proximity to Greece, many of the Greeks in Eastern Thrace were deported or escaped to Greece as opposed to being killed outright, like their Pontian and Armenian counterparts. Prof. Dikran Kaligian of Worcester State University spoke on the “Security and Insecurity in the Ottoman Armenian and Greek Communities, 1908-1914.” Prof. Kaligian described how the restoration of the Ottoman Constitution had provided a brief period of hope and an improvement in the personal security for the Armenians and Greeks living in the empire. He then traced various events that began to endanger those reforms, including the impact of the counter revolutionary uprisings, the Balkan Wars, and the evolution of the Young Turk movement from its liberal Ottomanist orientation toward a chauvinistic pan-Turanist direction. The final presentation of the conference was provided by Dr. Suren Manukyan, a Fulbright Scholar on Sociology of the Armenian Genocide at Rutgers University and Deputy Director of the Armenian Genocide Museum & Institute, Yerevan, Armenia. Dr. Manukyan’s topic was “Cultural Preconditions and Process of Social Indoctrination: Socio-Psychological Dimension of the Ottoman Genocides.” Noting that the ability to participate in mass murder is not an inherent human characteristic, he described how the state conditioned the Ottoman Muslim population to be able to murder the Christians through propaganda via the mosques, by altering the legal system, and other methods. He contrasted the Armenian Genocide with the Holocaust, pointing out that many Armenians met violent deaths, sometimes at the hands of their neighbors, rather than the more industrial process encountered in Nazi concentration camps. Following Dr. Manukyan’s presentation, Moderator George Shirinian invited all of the presenters to the stage for a final question and answer period from the audience before concluding the conference with his final remarks. 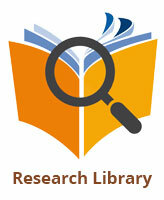 The conference proceedings will be published in the near future. 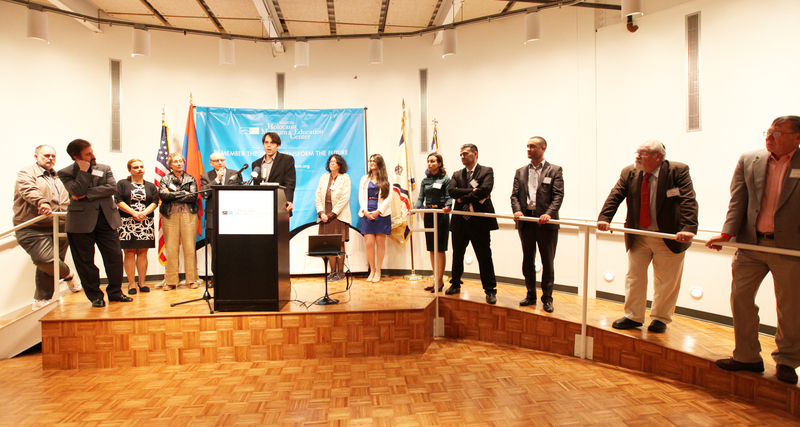 The Armenian National Committee of Illinois is a grassroots public affairs organization which works in coordination with a nationwide network of offices, affiliated organizations and supporters to inform, educate, and actively advance the concerns of the Armenian American community on broad range of issues. The Asia Minor and Pontos Hellenic Research Center was founded to research, preserve, and disseminate information concerning the history of the tragic expulsion of the Greeks from their ancestral homeland in Asia Minor. The Assyrian Center for Genocide Studies is dedicated to the study of the Sayfo, or the Assyrian Genocide, and works to support research in the broader area of genocide studies and to promote awareness about the crime of genocide.